In 2004 it was just Zef and Jude in a park in Brooklyn by themselves, filming with only a razor cell phone camera. Now it's 2011. 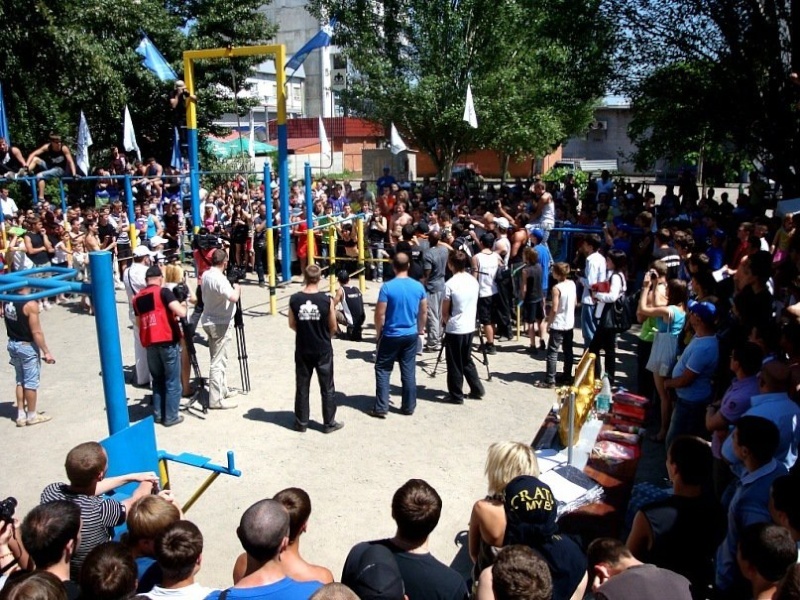 Денис Минин of Dnepropetrovsk Street Workout flew us out as special guests for his huge calisthenics event in Ukraine this past weekend. We had the pleasure of meeting hundreds and hundreds of our overseas fans. It was the most incredible time for all, unlike anything we would've ever imagined back in '04! Day 1 was the individual competitions and Day 2 was team events and training. Zef was the judge. Everyone involved was very inspiring and giving. The hundreds of dedicated people showed so much love, and we're very glad for this opportunity to have met them all. Our family is getting bigger and bigger. We'll be sharing lots of photos and videos from the event with you all throughout the week on facebook and youtube! Special thanx to Denis (organizer and owner), Edward (sponsor who brought us out), Eli (our translator and guide), Ether (for being so dang awesome! ), and every single person we met over the past 4 days; and really past 4 years. 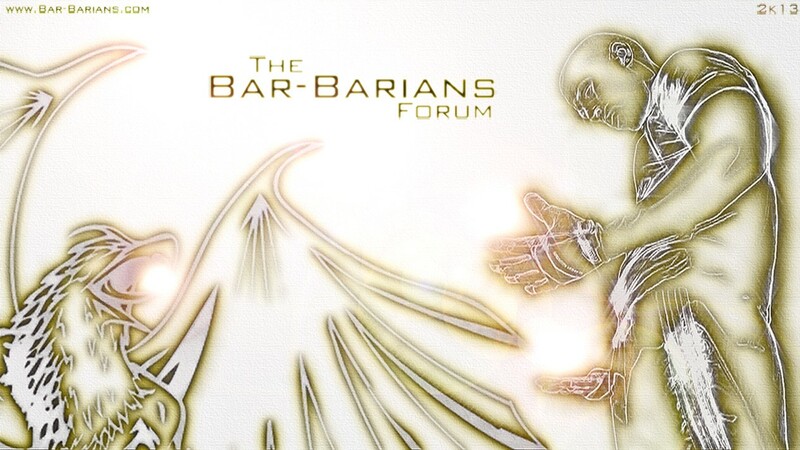 "As Bar-Barians get bigger, the world gets smaller." Inspiration passed from one side of the globe to the other, and back again! Everyday we are creating a world that we are happy and proud to be living in and bringing life into. Many more big things to come. This is only just the beginning! this is incredible. the community is growing everyday, keep it up! awesome get-together! great weather and great park! bet you all felt like celebs out there! Looks like it was a great environment!! Congratz on the inspiration you're giving to the world! It was definitely a surreal experience. Everyone was so great and kind! We all had an incredible time! Awesome. Its so cool they flew you guys out there, what an amazing experience! one day i hope i will be like you guys and be able to hangout and kick it and maybe even keep up with yall, i will work hard and i will prevail one day, hopefully bar-barians dont expire when i lose 120pounds haha. Hey its great to see bar barians going all over the world! Everyone is training and in the meantime motivating each other. It would be amazing to all meet in one place one day!